The University of Illinois and the Alumni Association send our support to those affected by Hurricane Sandy. We offer heartfelt thoughts and prayers to those in the University of Illinois family who have been affected by Hurricane Sandy and its devastating impact on such a large region where so many of our alumni call home. The University of Illinois is truly a global community of alumni, students, faculty and staff who care about the welfare of others. We hope everyone is safe and secure, and resolved to emerge from this disaster by pulling together and helping one another in the coming days, weeks and months. 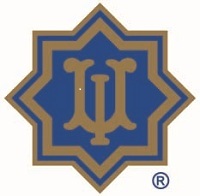 If you would like to reach out to those alumni who have been directly impacted by the storm, please visit our alumni network at www.uialumninetwork.org or visit www.uiaa.org for more ways to connect via social media. Families come together in times of need. So, as always, please stay in touch with us and with each other.